We own a 43 tiara sovran, tiara's company boat name is Crown Jewel, so something related to jewelry would be fitting for this boat. Our last boat name was Porta Party, but lately (because of porta potties) everyone was mispronouncing the name. 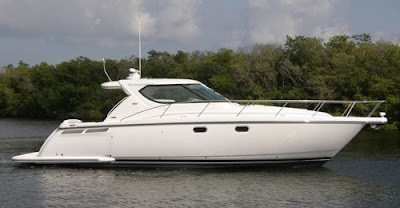 We are retired living in SW Florida, had a trucking business and belong to a boating club. How about "Moonstone?" It's the Florida state gem. I have a keen sense for the obvious. I think I have the purfect name for this Sassy Classy boat! How about: "BEAVERFEVER"